Did you know that a sunroom addition is considered one of the worst renovations for getting a high ROI? A home office remodel is right up there, along with an upscale garage addition. All three projects provide only an estimated 50 percent cost recoup. 1. Flooring. Today's buyers prefer hardwood, even in places like bedrooms. If hardwood isn't in your budget, there are a number of excellent quality laminate substitutes out there that look as good as hardwood and last nearly as long. If carpet is old, dirty and worn down, replacing it will also offer a good return on your investment. 2. Bathrooms. If your bathroom is stuck in the 80's and desperate for some TLC, you can tear it out and rest easy knowing that you will likely recoup most of the money you spend on the renovation when it comes time to sell. Spend a few extra dollars on fancy faucets and light fixtures - these are good selling features. 3. An income suite. A properly completed and legal income suite is one sure way to raise the property value of your home. Plus, you can look forward to collecting rent each month you remain in the home. 4. Kitchens. We've all heard it before - kitchens sell homes. Even when completed on a budget, a kitchen renovation will earn you a good ROI. Buyers look for new or refinished cabinets, pretty backsplashes, new flooring and upgraded appliances. 5. A finished basement. 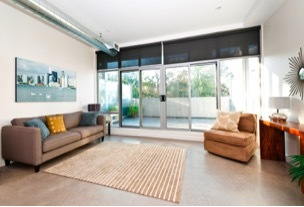 Any time you are adding living space to a home, you are appealing to buyers. The key here is to avoid expensive, luxury finishes, like a state-of-the-art wet bar or solid hardwood flooring. Keep the space open and usable, install a drop ceiling and use good quality flooring. Contact us for more information on any of these projects. We have contacts throughout the GTA to get the job done right. We want you to get the highest ROI possible on your home and condo purchases and are always here to help.